The year 1979 was the 198th year of the Rattanakosin Kingdom of Thailand. It was the 34th year in the reign of King Bhumibol Adulyadej (Rama IX), and is reckoned as year 2522 in the Buddhist Era. Bhumibol Adulyadej, conferred with the title King Bhumibol the Great in 1987, was the ninth monarch of Thailand from the Chakri dynasty as Rama IX. Reigning since 9 June 1946 he was, at the time of his death, the world's longest-reigning head of state, the longest-reigning monarch in Thai history and the longest-reigning monarch having reigned only as an adult, reigning for 70 years, 126 days. During his reign, he was served by a total of 30 prime ministers beginning with Pridi Banomyong and ending with Prayut Chan-o-cha. Maha Vajiralongkorn Bodindradebayavarangkun has been the King of Thailand since 2016. He is the only son of King Bhumibol Adulyadej and Queen Sirikit. In 1972, at the age of 20, he was made crown prince by his father. After his father's death on 13 October 2016, he was expected to accede to the throne of Thailand but asked for time to mourn before taking the throne. The year 2016 is the 235th year of the Rattanakosin Kingdom of Thailand. It was the 71st and last year in the reign of King Bhumibol Adulyadej, the first year in the reign of King Vajiralongkorn. It is reckoned as year 2559 in the Buddhist Era. The year 1960 was the 179th year of the Rattanakosin Kingdom of Thailand. It was the 15th year in the reign of King Bhumibol Adulyadej, and is reckoned as year 2503 in the Buddhist Era. The year 2000 was the 219th year of the Rattanakosin Kingdom of Thailand. It was the 55th year in the reign of King Bhumibol Adulyadej, and is reckoned as year 2543 in the Buddhist Era. The year 1999 was the 218th year of the Rattanakosin Kingdom of Thailand. It was the 54th year in the reign of King Bhumibol Adulyadej, and is reckoned as year 2542 in the Buddhist Era. The year 1994 was the 213th year of the Rattanakosin Kingdom of Thailand. It was the 49th year of the reign of King Bhumibol Adulyadej and is reckoned as the year 2537 in the Buddhist Era. The year 1950 was the 169th year of the Rattanakosin Kingdom of Thailand. It was the 5th year in the reign of King Bhumibol Adulyadej, and is reckoned as year 2493 in the Buddhist Era. The year 1975 was the 194th year of the Rattanakosin Kingdom of Thailand. It was the 30th year in the reign of King Bhumibol Adulyadej, and is reckoned as year 2518 in the Buddhist Era. The year 1971 was the 190th year of the Rattanakosin Kingdom of Thailand. It was the 26th year in the reign of King Bhumibol Adulyadej, and is reckoned as year 2514 in the Buddhist Era. The year 1974 was the 193rd year of the Rattanakosin Kingdom of Thailand. It was the 29th year in the reign of King Bhumibol Adulyadej, and is reckoned as year 2517 in the Buddhist Era. The year 1951 was the 170th year of the Rattanakosin Kingdom of Thailand. It was the 6th year in the reign of King Bhumibol Adulyadej, and is reckoned as year 2494 in the Buddhist Era. The year 1952 was the 171st year of the Rattanakosin Kingdom of Thailand. It was the 7th year in the reign of King Bhumibol Adulyadej, and is reckoned as year 2495 in the Buddhist Era. The year 1953 was the 172nd year of the Rattanakosin Kingdom of Thailand. It was the 8th year in the reign of King Bhumibol Adulyadej, and is reckoned as year 2496 in the Buddhist Era. The year 1954 was the 173rd year of the Rattanakosin Kingdom of Thailand. It was the 9th year in the reign of King Bhumibol Adulyadej, and is reckoned as year 2497 in the Buddhist Era. The year 1955 was the 174th year of the Rattanakosin Kingdom of Thailand. It was the 10th year in the reign of King Bhumibol Adulyadej, and is reckoned as year 2498 in the Buddhist Era. The year 1956 was the 175th year of the Rattanakosin Kingdom of Thailand. 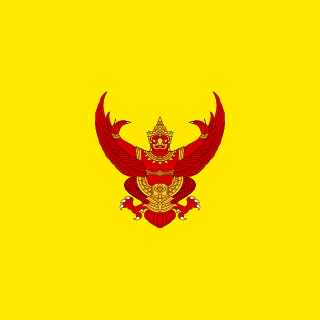 It was the 11th year in the reign of King Bhumibol Adulyadej, and is reckoned as year 2499 in the Buddhist Era. The year 1957 was the 176th year of the Rattanakosin Kingdom of Thailand. It was the 12th in the reign of King Bhumibol Adulyadej, and is reckoned as year 2500 in the Buddhist Era. The year 1966 was the 185th year of the Rattanakosin Kingdom of Thailand. It was the 21st year in the reign of King Bhumibol Adulyadej, and is reckoned as year 2509 in the Buddhist Era. The year 1967 was the 186th year of the Rattanakosin Kingdom of Thailand. It was the 22nd year in the reign of King Bhumibol Adulyadej, and is reckoned as year 2510 in the Buddhist Era. The year 1969 was the 188th year of the Rattanakosin Kingdom of Thailand. It was the 24th year in the reign of King Bhumibol Adulyadej, and is reckoned as year 2512 in the Buddhist Era.